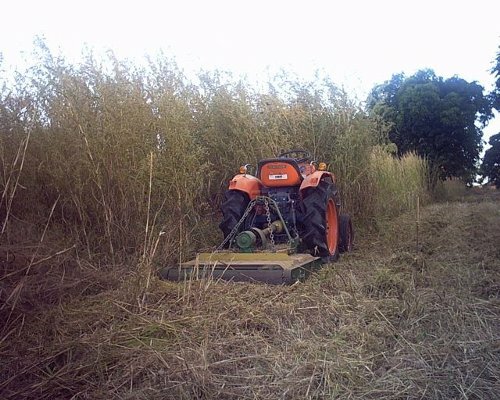 OrangeTractorTalks reader Jamie from Zambia, Africa (map) has posted a picture of his L1501 tackling the task of mowing elephant grass in our gallery. This grass can grow upwards of 8-9 feet in height! Regardless of how much you might neglect your own lawn or brush, I bet your mower has less than this to contend with! Keep those blades sharp and that mower serviced. Great pic Jamie, thank you for sharing. If you have a picture of your favorite orange machine in action or just sitting pretty, upload a picture of it.